Travellers will be thrilled to head to Western Australia for the summer; its hot, dry and, best of all, predictable weather will make for happy and comfortable campers. We’ve found the best spots for sun seekers to enjoy the state’s favourite season. 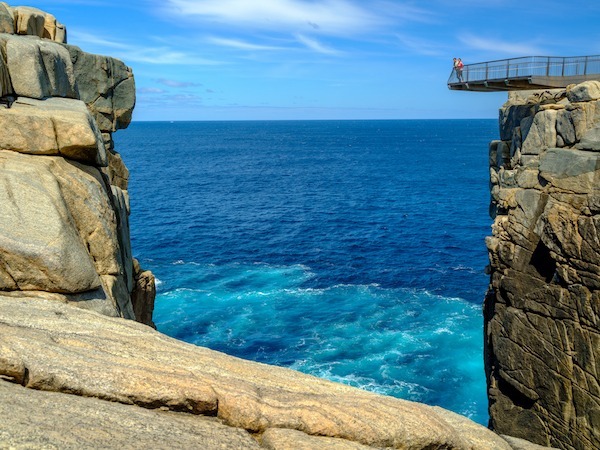 Beginning your trip in the south of Western Australia, the coastal city of Albany has everything a summer traveller could ask for. It sports some of the state’s best beaches – Little Beach, Emu Point, Frenchman Bay and Waterfall Beach are a few local favourites. The city is also rich with Indigenous and colonial history, so take the time to visit one of its many cultural sites of significance. Because there’s no better way to plan a holiday than to base your itinerary around food, the next must-see location is the Shire of Gingin. Just an hour’s drive north of Perth, it’s not far to get to one of the state’s emerging food bowl regions. Here, in a region that boasts a healthy tradition of horticulture, it’s all about fresh flavours and paddock-to-plate cuisine.Then, seafood lovers rejoice! The next stop on your trip to Gingin is the beautiful crayfishing town of Ledge Point. The tropical town of Carnarvon brings travellers a unique mix of Australia’s coastal and outback vibes. Head out on the Fruit Loop to see Carnarvon’s many fruit plantations, and taste your way through bundles of bananas, mangoes, avocados, stone fruits and plenty more. After you’ve had your fill of natural goodies, wander down to the beach to see one you can’t eat: the Carnarvon blowholes. Where ships dominate the shores, visitors can expect to see the astounding industrial sights that Port Hedland is known for. The Port Hedland Seafarers Centre Tour offers the best close-up views of the port’s enormous ships, as well as an informative insight to its great maritime history. Then, wind down in the afternoon with a quick dip at Pretty Pool beach. There are abundant opportunities to spot amazing wildlife in summer.